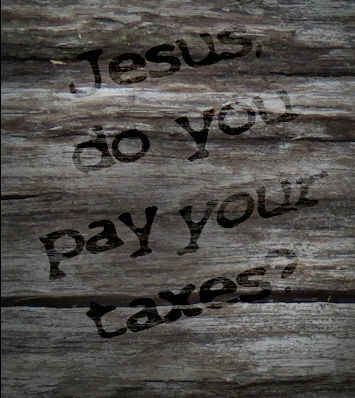 The Gospels note two occasions where Jesus addressed the issue of paying taxes. The “Render to Caesar” narrative is best known, but it is better understood after considering Jesus’ earlier instruction regarding the payment of taxes. Unlike Jesus’ somewhat ambiguous “Render to Caesar” pronouncement, his first teaching on the subject of taxes was given with a full explanation. Does not your teacher pay the tax? Jesus makes two contrasting points. First, that Jesus—and by extension—his disciples, do not owe the tax. It does not apply to them, but that is not all there is to it. Jesus then tells St. Peter that they will pay it anyway, so as “not to give offense to them.” Plainly, Jesus rejected any moral obligation to pay the tax, but only recommended the payment (by a miracle no less) to avoid compromising his mission before the time he chose. Even then, it was for appearance’s sake only, for Jesus never suggested that the other eleven apostles should pay anything, seemingly because only Jesus and Peter had been implicated in the incident. (Note: It appears that Peter may have been mistaken when he told the tax collectors that Jesus had paid the tax).